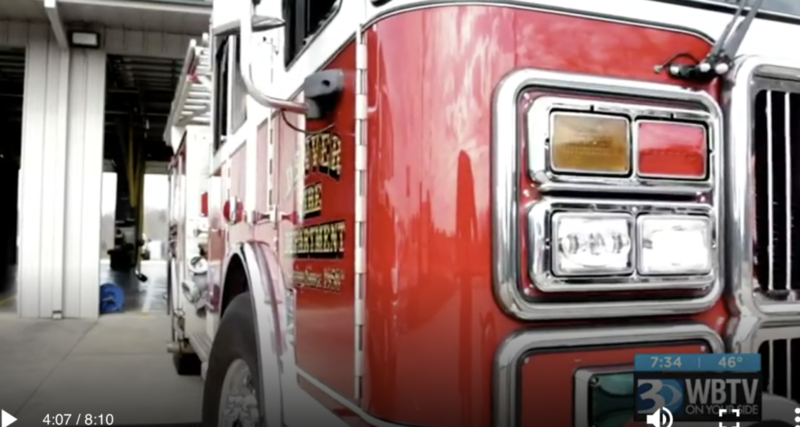 Clairemont Communications has the privilege of working with the North Carolina Association of Fire Chiefs (NCAFC) and the International Association of Fire Chiefs (IAFC) on a critical recruitment campaign. In North Carolina, nearly 70 percent of all firefighters are volunteers, a number that is plummeting by 12 percent annually. With the continuation of this steady decrease, within a few short years, no firefighters will be available to answer the 911 calls from our community. The NCAFC’s intensive two-year campaign strives to recruit new volunteers across 15 at-risk counties in North Carolina. And at Clairemont, one of the cool things we get to do is share the story of these brave heroes far and wide. In January, February and early March of 2019 alone, we were thrilled (jazzed, top of the WORLD, banana-grams excited!) to secure sixteen news stories for this cause across North Carolina. 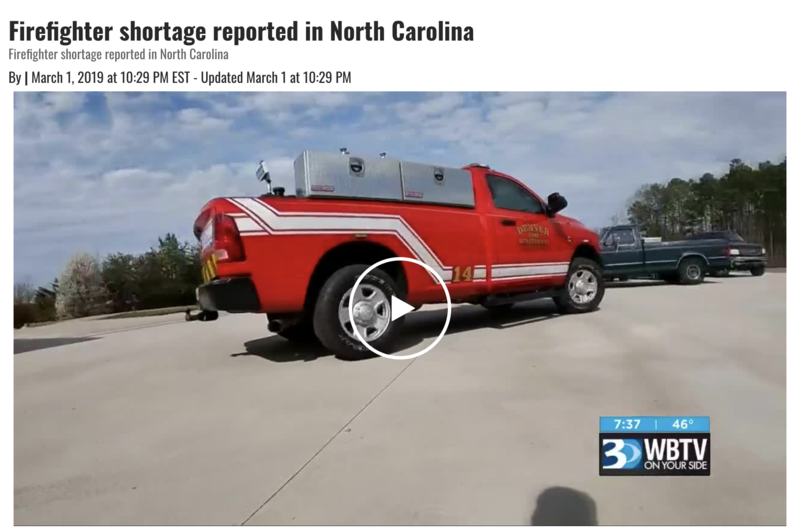 Located in Charlotte, WBTV Channel 3 News recently covered an eight-minute in-depth segment, revealing the stories of local firefighters, the critical need and the unexpected joys of what it means to be a volunteer in North Carolina. At Clairemont, we believe in working with clients we love — and we feel all the love for these incredible men and women who serve our community through their local fire departments. We’re honored to share their tales. Couples volunteer together; families volunteer together. Teens volunteer through the fire departments’ cadet programs. And stations offer a plethora of roles, from a traditional operational firefighter to an event planner or digital designer. Interested? Yup, us too. Visit www.volunteerfirenc.org to learn about joining the local fire department.